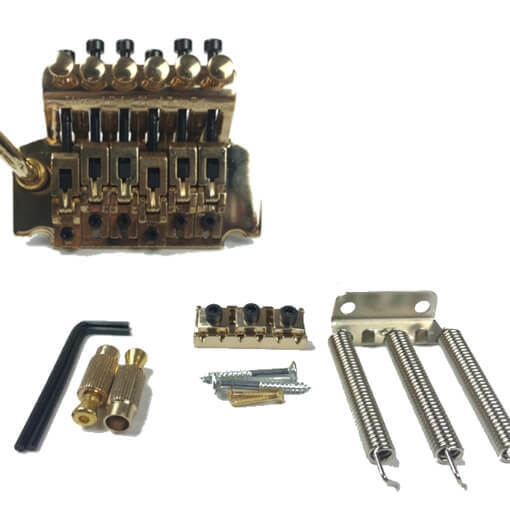 TradeBoss.com - Floyd Rose Double Tremolo System, Product by Xianyang Boya Music Instruments Co., Ltd.
Floyd rose tremolo system of XYB is double block type. Which is also a traditional design. 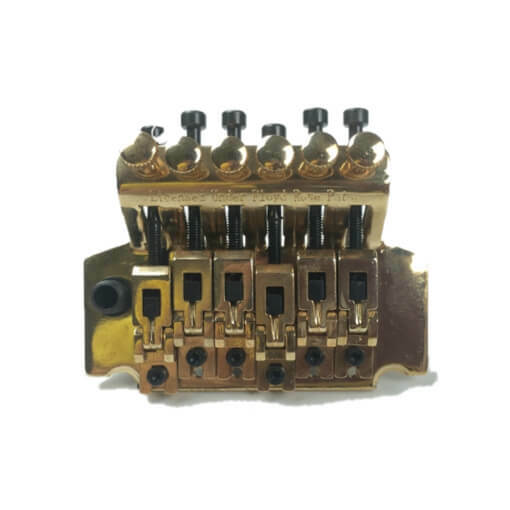 There are 2 locks, one is the locking nut, and the other is locking saddles. 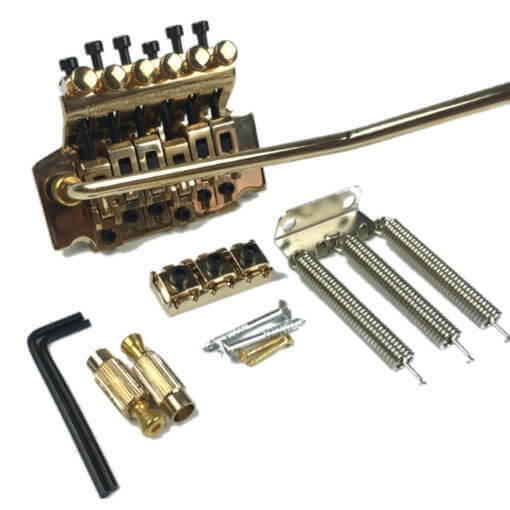 The floyd rose tremolo system is gold plated. Material is alloy. Thus, the part is durable. Price: negotiable based on quantity, FOB, CIF, CFR, etc.